I do favorite posts and haul posts and influence you to spend money. Bad... bad girl! I love comments like"Reading this blog is not good for my wallet", and I can totally understand how you feel because I feel like that every single day when I see new things in other blogs and websites. So, I'm hoping posts like this one will help you save some money. 1. 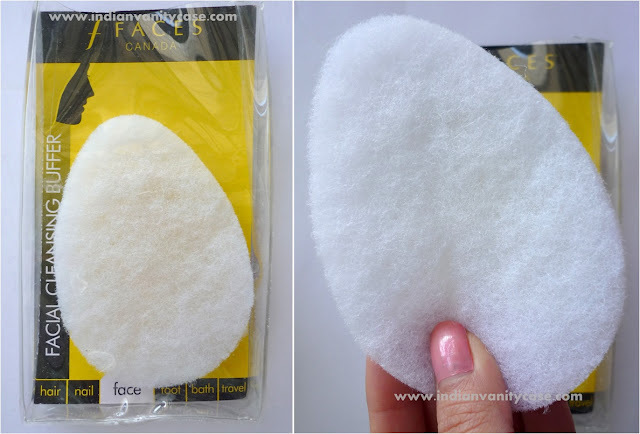 Face Facial Cleansing Buffer: For face? Really?! It's so rough and scratchy I regret using it on my face even once. They should rename it Foot Cleansing Buffer or Hairy Back Cleansing Buffer. 2. 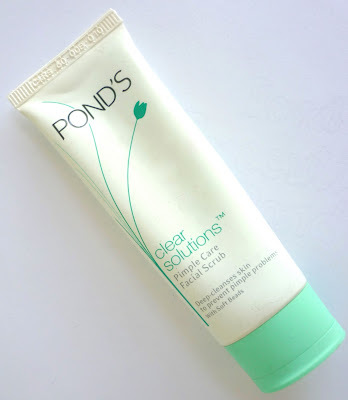 Pond's Clear Solutions Pimple Care Facial Scrub ~ It's not a bad facewash, but it doesn't do what it claims. It is a somewhat grainy facial foam, which doesn't prevent pimples at all. I was so counting on it when I had so many pimples in the winter, but it did nothing, like a bodyguard who is busy eating a taco instead of protecting you from evil. 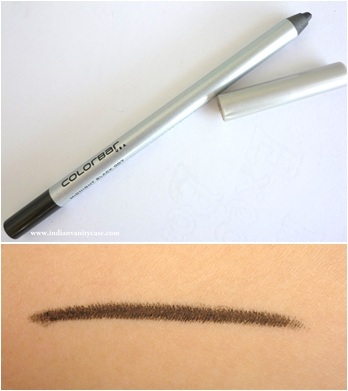 3.Colorbar I-Define Pencil ~ I bought this just because I had forgotten to carry an eyeliner in my makeup bag when I'd gone to stay over at my relatives' place in January. I was going to buy the I-Glide pencil in black, but then I thought 'why not try something new?' Bad call. It is hard and tugs at my eyes. Not silky smooth at all, like the I-glide pencils. That's all the for today. Don't forget not to buy them! Hey cynthia can you tell me why the colorbar eyepencil isn't good? I was thinking of giving it a try.Been using streetwear stay on for a while now. Oh no, that buffer does look really rough and scratchy like the Scotch brite ones :)Try the TBS one its amazing. I'll tell you about my disappointing products in a post soon :) Because I have to think which ones disappointed me the most.